Texas Personal Defense Training will offer the National Rifle Association’s award-winning crime prevention and personal safety seminar, Refuse To Be A Victim®, on February 25, 2017, at Ratibor Country Grill. This event will run from 9 a.m. until 1 p.m., with lunch on your own to follow. 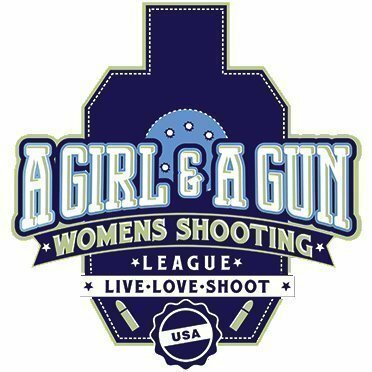 Cost is $40 for attendees, and $30 for members of A Girl and A Gun Women’s Shooting League. Becky Dolgener, NRA Instructor, said the class is a natural next step for Texas Personal Defense Training. Dolgener launched the Temple Chapter of A Girl and A Gun Women’s Shooting League in June 2015. The group hosts multiple events each month at local shooting ranges, introducing women to the shooting sports while emphasizing education and safety. The group’s core membership is made up primarily of NRA-certified Range Safety Officers, who assist at events. While Refuse To Be A Victim seminars aren’t firearms classes, Dolgener says they’re essential to her mission. Developed in response to nationwide requests for crime prevention seminars, Refuse To Be A Victim teaches methods to avoid dangerous situations and prevent criminal confrontations. Seminar participants will be presented with a variety of common‑sense crime prevention and personal safety strategies and devices that may be integrated into their personal, home, automobile, telephone, technological, and travel security. Since 1993, Refuse To Be A Victim has been endorsed by law enforcement members throughout the United States for its positive impact. With more than 7,000 instructors, seminars have been held in all 50 states, the District of Columbia, Puerto Rico, and Trinidad and Tobago. Visit https://www.eventbrite.com/e/nra-refuse-to-be-a-victim-seminar-tickets-31262990446 for more information. Please note: this is NOT a firearms training program. Just finished the “Refuse to be a Victim” class taught by Becky Dolenger. Great information and instructor.